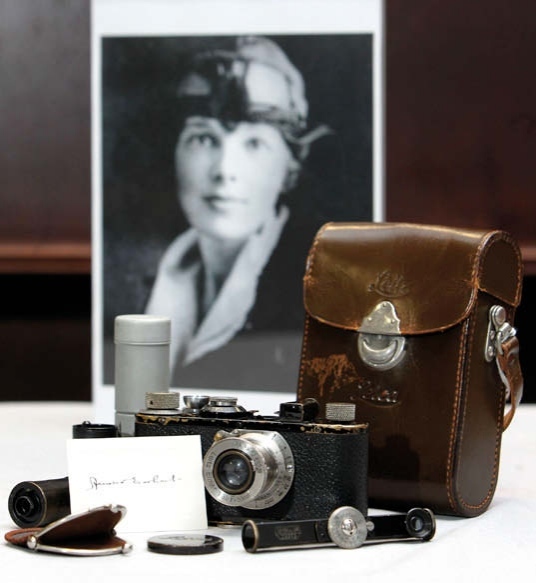 On March 24, McTear’s of Glasgow is offering a camera that belonged to Amelia Earhart, the American aviation pioneer who became the first female aviator to fly solo across the Atlantic Ocean. The black paint Leica 1, which dates to 1929, was given to Earhart by her husband, the publisher George P Putnam. It now forms part of a 120-lot collection of vintage and modern cameras belonging to east Ayrshire photographer and collector Ian Macdonald. The camera and a signed card were reputedly given to Macdonald’s grandfather Wullie, who regularly visited the house in Rye, New York, where Earhart and Putnam lived. The lot is guided at £10,000-15,000 and includes a lens cap, range finder, two reloadable film cassettes and holder, all contained in a leather case. 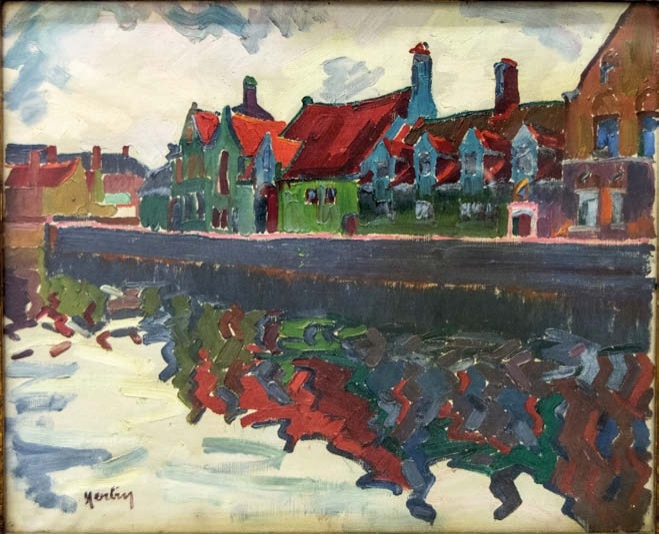 A hitherto unknown early work by French painter Auguste Herbin (1882-1960) is going under the hammer in Gildings’ March 28 sale in Market Harborough, Leicestershire. Maisons au Quai Vert, Bruges, a vibrant post-Impressionist style 21in x 2ft 1in (53 x 64cm) oil on canvas, was painted on a visit to the Flemish city in 1906. It is presumed the work has hung on the walls of the same local family since it was acquired c.1923 from the Leicester Galleries. A solo exhibition of the artist’s work was held at the gallery in 1923, although the auction house has been unable to establish if this painting was included in the show. It is not listed in Horbin’s catalogue raisonné but its authenticity has been confirmed by the artist’s relative, Geneviève Claisse. 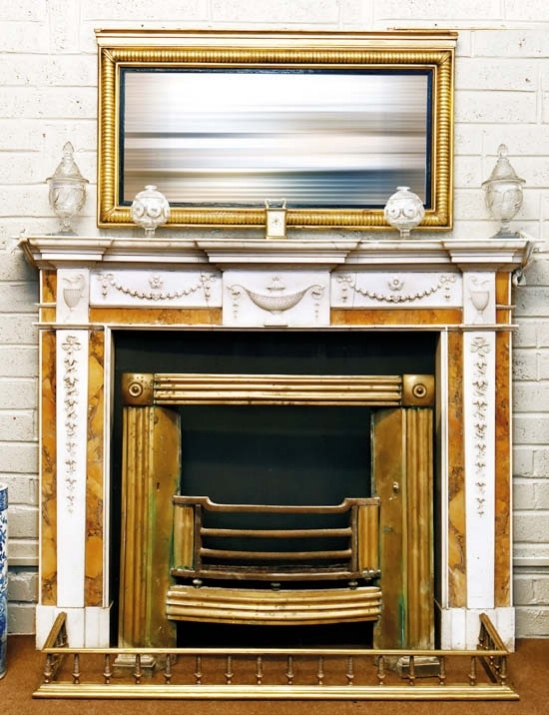 Irish auction house Lynes & Lynes will include this Irish Georgian Cararra and Giallo marble fireplace in its March 25 sale in Carrigtwohill, County Cork. Dated to c.1770, the 4ft 7in (1.39m) high piece is carved with urns and panels of ribbon-tied husk festoons and bellflowers. It is estimated at €20,000-30,000 and will be offered with its brass insert grate and slate fillers.